With internet playing a great role in all paths of life be it education, entertainment, business and many other spheres the demand for web developers are hiking day by day. Web development is a broad term for the work involved in developing a web site for the Internet (World Wide Web) or an intranet (a private network). Web development cover all the people who plan, build, and manage a website. The Web development process include Web design, Web content development, Client-side/server-side scripting and network security configuration, among other tasks. However, web development more specifically refers to non-design aspect of building a website i.e. writing markup and coding. Those who are professionally qualified to develop a website are known as web developers. A web developer is a programmer who specialize in or is specifically engaged in, the development of World Wide Web applications. A Web developer is the architect of a Web site, creating the foundation upon which designers and content editors apply their work. A Web developer uses software, computer languages and other tools to make a Web site look, act and feel the way a user needs and expects. 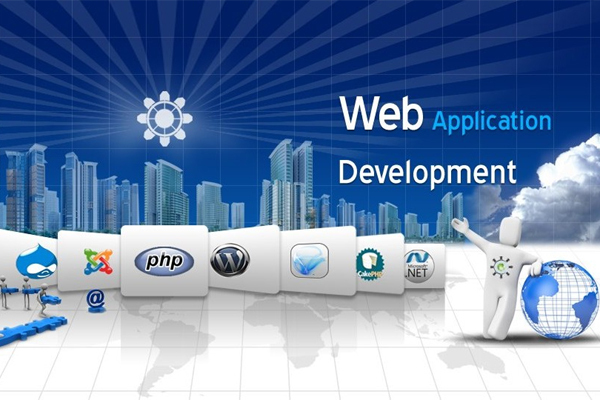 A web developer is responsible for programming the functionality of a web site. In short, it is the web developer who plan and program a website. Web developers typically work alongside system administrator, project managers, content developers and web designers. As a web developer you will be involved in the development of a website right from its design and development leading to its proper functioning. Web development can range from developing a single web page to the most complex online shopping website, a tutoring website, a company website or numerous other types of websites. Since, all fields and industries require web representation these days, there is a huge scope for web developers. The terms web development and web design are not the same. Web designing is concerned with how a site looks, its layout and how the customers interact with it. Web development is the back-end of the website, the programming and interactions on the pages. A web developer focuses on how a site works and how the customers get things done on it. A web designer is not a web developer, he needs only designing skills whereas a web developer must have thorough knowledge of programming languages. In the early days, anyone who could write HTML (Hyper Text Markup Language), i.e the main markup language for displaying web pages, could work as a web developer. Now employers are looking for web development professionals with a degree in computer science/engineering, as well as a few years of work experience. Hence the minimum requirement to be in this field is at least a bachelor degree in computer application or computer science. However those with M.Tech in computer and MCA will have a definite advantage. As far as the skills needed, a web developer needs to gain some expertise in mark-up language, more specifically HTML, XML (eXtensible Mark up language), XHTML and server side scripting languages such as ASP (Active Server Pages from Microsoft), PHP (Hypertext Preprocessor which is an open source language) and style sheet language which is used to style documents written in mark up languages such as Cascading Style Sheet, simply known as CSS. Programming expertise is also important for those aiming for top developers jobs. Understanding of some graphic packages such as Illustrator, Photoshop, Flash and Dreamweaver is important, since its application is heavy in web image processing and optimization. As in any of the other IT professions, Web developers must also continually keep updating their skills. Growing number of internet users and the subsequent increase in the number of websites have resulted in the high demand for qualified web development professionals in India as well as abroad. Their skills and services are in demand in all sectors. Web developers are looked for not only to create a new website, they are also associated with the maintenance and up gradation of existing websites. Once a website is up and running, web developers is responsible to ensure that the site is cross-functional on all web browsers, periodically testing and updating it as needed. As the IT industry continues to develop it is vital for web developers to keep up to date with new software and technology. Web development involves both creative and technical skills, a rare combination A website developer needs to be technologically conversant as their job requires them to write extensive lines of programming codes. The job may include creating a visually appealing website and user-friendly design, ensuring easy navigation, organizing content, and keeping the site functioning and up-to-date. Developers must take into account a client's products or services as well as its target market to create a site that appeals to its customers or intended audience. Work environments for Web developers vary widely, from large corporations or governments to small businesses. In larger organizations, web development team consists of more than one developer, whereas in small concerns there can be only a single web developer or web master. Normally they have to work closely and get well with the designers to make a visually appealing and user friendly site. Web developers are employed across all industrial sectors from finance and retail to public organisations. They may be employed directly by IT consultancies, software houses, web design agencies or work in an organisation's IT department. Advertising agencies, web portals, online gaming companies, media outlets, marketing firms, and in-house corporate communications departments are some other places where web developers find employment. Developers may be full-time employees, part-time consultants, or work on a contract basis as freelancers. Web developers typically work long hours to meet deadlines, either as part of an in-house staff, professional service, or consulting organization, or on a contract basis. In smaller organizations, the Web developer will handle a variety of positions/roles; at a larger organization, his or her role will be better defined. The normal progression route for a web designer/developer is to become a senior or principal web designer/developer. Experienced web designers/developers can use their experience and knowledge to become self-employed. Web developer salaries vary by experience, technical skill, job role and the company they are employed in. In India, Web developers can get a starting pay of Rs.30,000 to Rs.40,000 per month. Some experience along with good creative skills can earn him a salary as high as Rs.75,000 or even more. In the US, some of the highest paying states for Web developers are New Jersey, California, District of Columbia, and New York.